Rondos Kinderland offers everything a child's heart desires. 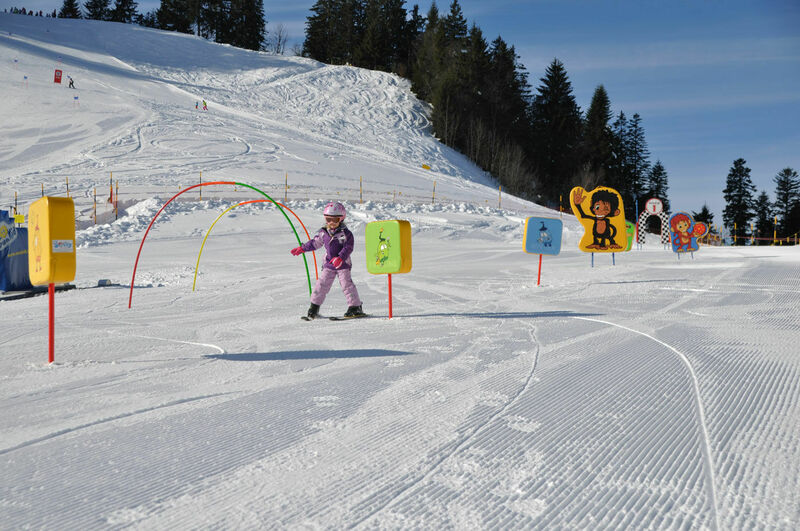 Beginner’s ski lift, magic carpets and funny characters help the kids to playfully master the basics of skiing or snowboarding. A fun-filled experience not just for children. Courses tailored to the individual abilities can be booked directly at the ski school. A 125-metre animated conveyor belt tunnel takes you comfortably from the Kinderland back to the mountain station. All other day passes include admission to Rondos Kinderland.